Published on June 29, 2012 in Fun and Mistakes To Avoid. 1 Comment Tags: Checking Emails, Email Management, Email Overload, Inbox Overflow. Today, email communication is a key driver for business success. First, I understand email overload, but I also know there are email management tips that work. As I’ve mentioned before, poor email communication is one of my telltale signs of a problem with an entrepreneur and/or small business. I am not advocating that INSTANT responses are necessary – just that they be TIMELY. Anecdotally, it’s crystal clear – if you struggle to manage your emails, you’re ineffective and inefficient in your time and/or priority management. Simple as that. If you’d like to get more done in less time, contact us. 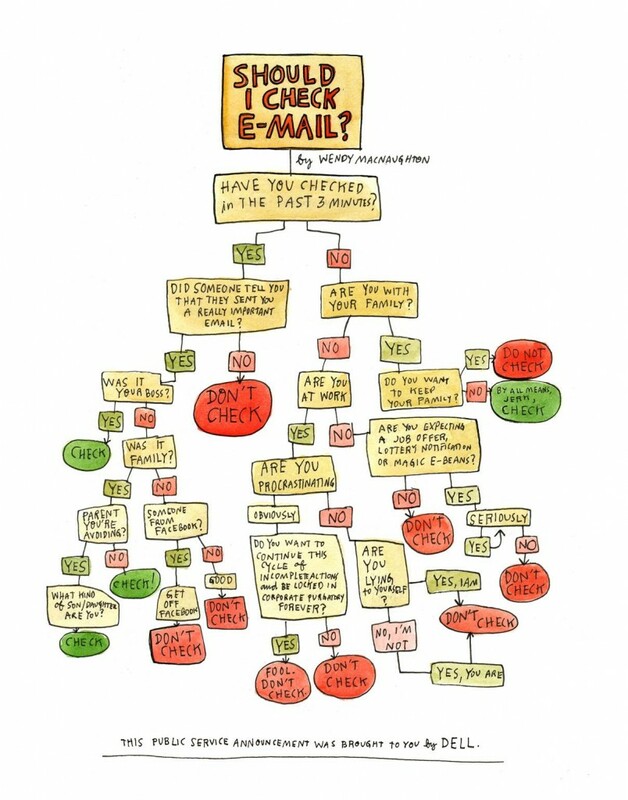 As an alternative, use the flowchart below to determine if you should check your email. A big thank you to Bree Robbins, Top Dog at Queensland’s #1 Doggy Day Care, Paddington Pups for sending this to me, she knows I love cool stuff like this! Published on December 5, 2011 in Exponential Mindset, Internet Tips and Tools, Mistakes To Avoid and Strategy. 1 Comment Tags: Email, Email Mistakes, Email Overload, Inbox Overload. This is 2011. Forget the Information Age, we’re in the Information Overload Age. I see it every day. People just can’t keep up with it all (even though many waste more than an hour a day on Facebook, but that’s a rant for another day). As a business person, you need you to read the emails that are important – you are losing a lot more than you know by not reading them. 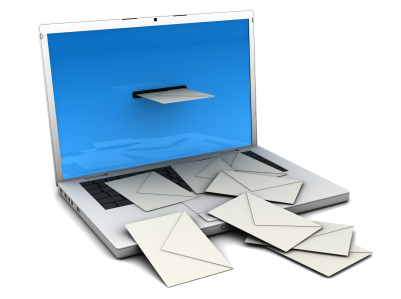 The problem or challenge is that you have too much junk or spam in your inbox. This is 2011 – DEAL WITH IT. But let’s face it, it’s not really spam is it? It’s not FREE – it’s costing you, dearly. Each time you or someone who needs to reach you has to re-send an email, it DOUBLES the communication effort. It’s not trivial – with many people sending/receiving more than 100 emails/day, that’s a lot of wasted time and effort ON BOTH SIDES. You need to find the SOURCE of the problem and get rid of it (excess emails). Are you distracted when you read them? In this day and age, I can tell you (anecdotally) that I can gauge someone’s success (or lack thereof) by the efficiency of their email communication. Simple as that – I know what a ‘reasonable amount of time is to respond’ and when that extends beyond the ‘acceptable’ I know it’s symptomatic. Symptomatic of a lack of discipline. As a business coach, mentor and Exponential Growth Strategist, I figure if you can’t deal with emails you’re not anywhere close to being ready to grow your business.